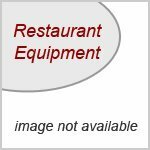 Steak Knife, 5' blade, rounded tip, plastic handle, Steak Knife by Winco. 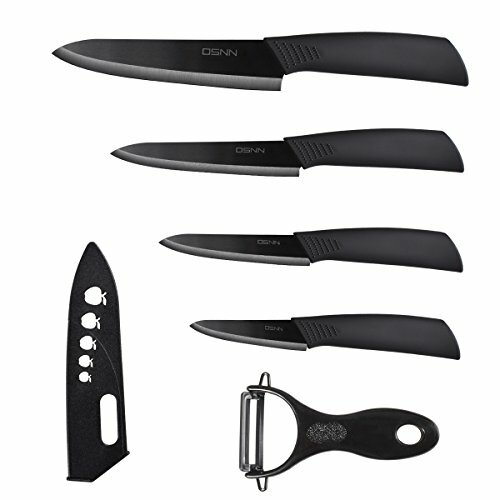 Kuhn Rikon, Utility Knife Colori 5''(black), Swiss design, color and style combined with high-quality, ultra-sharp Japanese steel. Playful, practical and wildly popular. 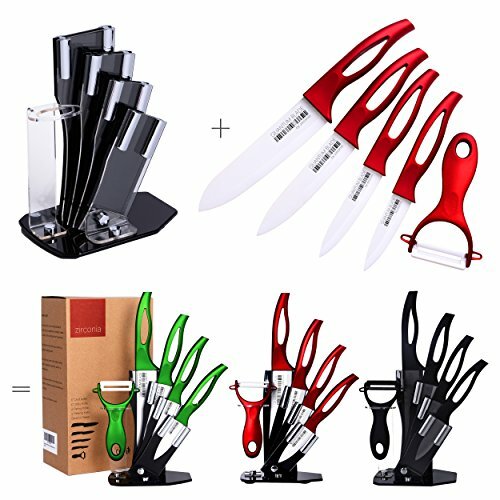 Black blade kitchen ceramic knife set.Package Contents: 6 inch sharp chef knife x1 5 inch Slicing Knife x1 4 inch Steak knifex1 3 inch fruit knifex1 ceramic peelerx1 knife cover x4 Ceramic Knife Set of 5 Kitchen equipment size: 3'',4'',5'',6'' Knife including knife protection cover. 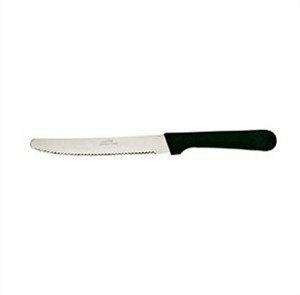 For your modern kitchen A MUSTCeramic knifes do not get rusty(do not cut on ceramic plates, blade can break! Easy cleaning. No need to put it into a dish washer (not recommended) What we ship is in the shipping list, some items on the pictures are decoration only! 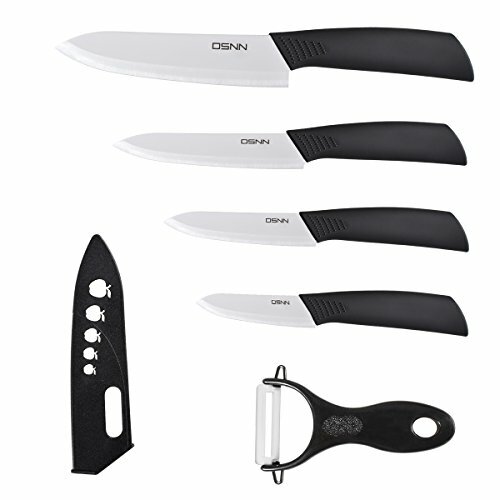 DSNN kitchen ceramic knife set.Package Contents: 6 inch sharp chef knife x1 5 inch Slicing Knife x1 4 inch Steak knifex1 3 inch fruit knifex1 ceramic peelerx1 knife cover x4 Ceramic Knife Set of 5 Kitchen equipment size: 3'',4'',5'',6'' Knife including knife protection covers. 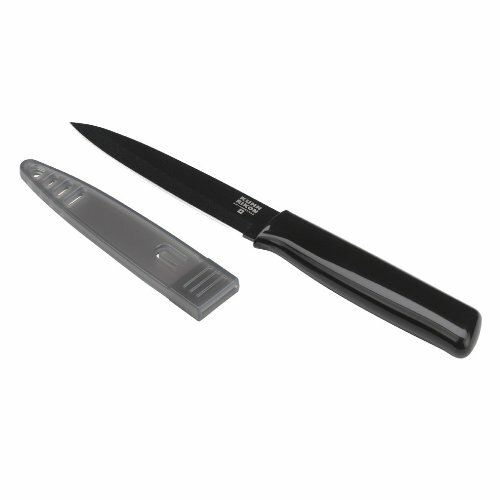 For your modern kitchen A MUSTCeramic knifes do not get rusty(do not cut on ceramic plates, blade can break! Easy cleaning. No need to put it into a dish washer (not recommended) What we ship is in the shipping list, some items on the pictures are decoration only! 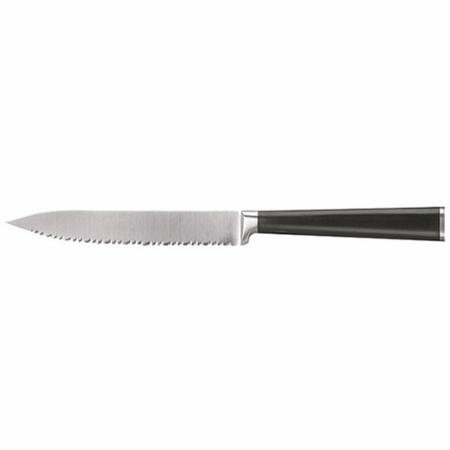 Size: 8 Inch Chef Knife Blade 205mm(8 Inch)+Handle 30mm(5.12 inch) 218g8 Inch Bread Knife Blade 200mm(8 Inch)+Handle 130mm(5.12 inch) 196g7 Inch Japanese Kitchen Knife Blade 185mm(7 Inch)+Handle 130mm(5.12 inch) 217g5 Inch Utility Kitchen Knife Blade 118mm(5 Inch)+Handle 115mm(4.5nch) 79g3.5 Inch Paring Knives Blade 90mm (3.5 inch)+Handle 115mm(4.5inch) 71gBlade Material: 5Cr15MOVHandle Material: Color WoodHardness: 58 HRCFeatures and Advantages1:Multi-Use knife for Mincing, Chopping Dicing,and Slicing.2:Dishwasher safe and easy to clean up,wash in sink and towel dry for longevity3:Sturdy wood handle ensures your safety and kitchen performance with comfortable grip.4: Tarnish-resistant, rust-resistant, and easy to clean stainless steel blade.5:The best ideal gift to family and your friends,our chef knife set come with nice packing box,a great gift set for women and men who love cooking.If you are ready for order a classic and durable kitchen knife, this set is he most perfect for you, click add to cart buy now! 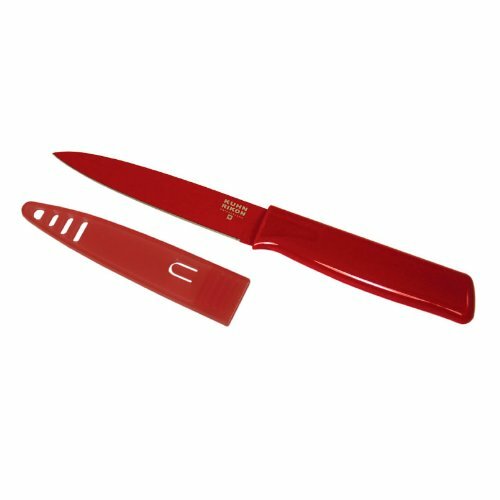 Kuhn Rikon, Utility Knife Colori 5''(red), Swiss design, color and style combined with high-quality, ultra-sharp Japanese steel. Playful, practical and wildly popular. 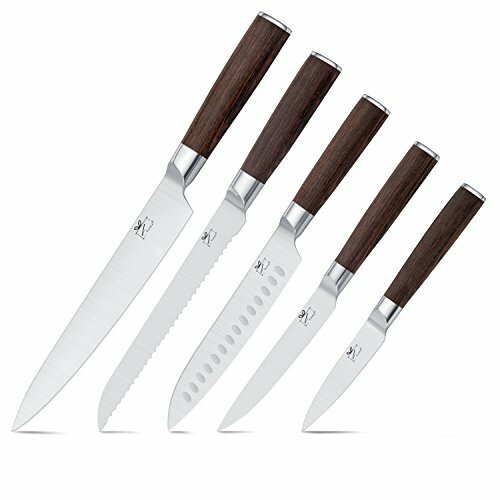 Ginsu Chikara Series blades are forged from Japanese 420J2 stainless steel that is known for its stain and rust resistance, strength and its ability to hold an incredibly sharp edge. 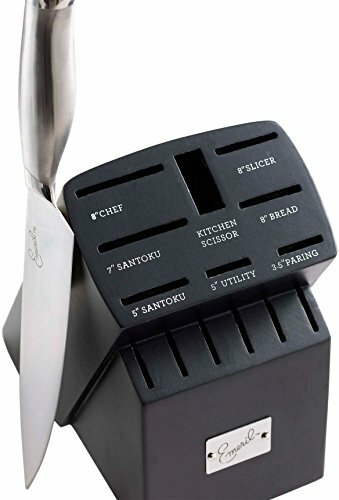 Copyright © Wholesalion.com 2019 - The Best Prices On 5' Steak Knife Online.